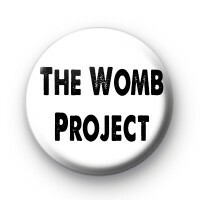 Custom The Womb Project badges for Kaz. Black and white badges with the text The Womb project on them. Gynaecology themed badges. Standard 25mm badges hand made in the UK.